In the Age of Information, the ability to “curate”, or gather and arrange content, becomes one of the most important skills you can have. After all, the information is out there for everyone to see. What makes you stand out from the crowd is how you locate and present it. This process can be a grueling one if you go at it alone. That’s why the smart content curator will find tools to make their job easier in siphoning the best material off the top of the web, and presenting it in the purest and most palatable of forms. Here are five such tools that will allow savvy social marketers to make it happen. 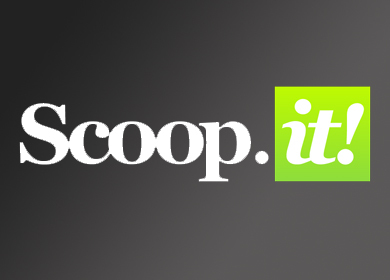 The Scoop.it service allows you to search through a series of niche magazines on the web. Here’s how it works — you select a topic you want to follow, and from there, you start gathering a collection of articles, media, and other content to streamline to your account. Your collection may end up consisting of everything from blog posts and Twitter content to engaging videos. What I really like about Scoop.it is how it lets you view the collections gathered by other people who share an interest in your topic. This allows you to quickly find the relevant content you need, essentially making your role as curator much easier. Pinterest is not only one of the leading social networks, it is one of the best tools around for image curators. For those who don’t know, this site allows you to “pin” interesting images you find on the web to random boards, or boards that carry a specific theme. The boards you create can be great fuel for your curation projects, especially if they appeal to a broad audience. Though it takes a different approach, Pinterest leverages the social component quite well, so people can follow you, and even share your content with others. Zemanta is a plugin for Wordpress that makes it much easier to find related posts and images based on what you’re currently blogging about in Wordpress. This particular tool lets you add image suggestions that appear in the sidebar with just one click. It even adds the attribution for you. Any curator who has spent 10 minutes trying to hunt down attribution credentials knows just how useful this is. These features can potentially save you loads of time you might have otherwise spent scouring the web for interesting content fit for your curation needs. Additionally, if you link to another blog, Zemanta will recommend your posts in the sidebars of other subscribers. Not only does this make it easier for curators to find posts they can link to in order to make their own content more relevant, it also provides the opportunity for more links and exposure for the original poster. Zemanta is a very useful tool for social marketers who realize the value of content in the blogosphere. Storify focuses on longer, more detailed social curation. The site allows you to search through a large number of outside sources to find the content you want to share. It measures resonance for each individual piece of content, making it easier to identify the material with the most value. This tool is particularly handy for social marketers who want to be sure they are giving their target audience the most relevant blog posts, images, videos, and memes. Another cool thing about Storify is the effort it makes to help your content create a viral impact. One of the unique ways it does this is by allowing you to easily get in touch with the people involved in your story. This admirable gesture can help you recruit a following of engaged evangelists who are motivated to spread the word. Hence the name, List.LY is a tool built entirely around lists. You can use this site to create a list on just about anything — individuals, images, websites, and much more. These lists can be integrated into your blog posts, which is great for driving traffic and engagement. List.LY also has a “Trending Lists” section on the front page that showcases the most popular lists across the network. This site has a lively community, so getting your list featured here could mean good things in terms of exposure. Content curation is a process, but it doesn’t have to be a grueling experience. Strap up with tools such as these, and you will learn what a smooth ride it can be. Image courtesy of Thomas Forsyth, Flickr.